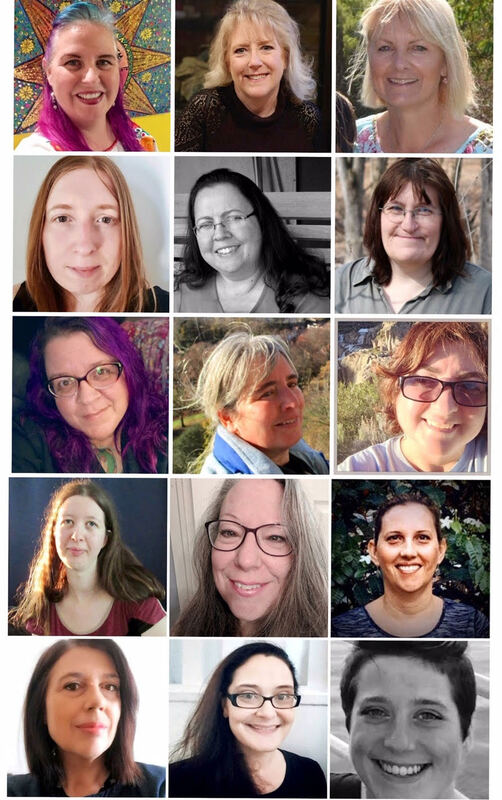 Hi Blank Page Muse Stamps Fans!!! Well another month has nearly gone!!! Hope it has been a creative one for you all! 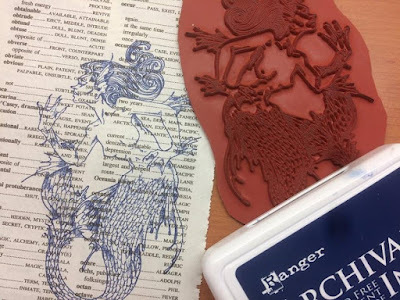 Today I have another "Under the Sea" themed creation using a fab "Mermaid/Siren" image designed by Rick St Dennis - I'm a big "Rick" fan and love to create with his detailed stamps! 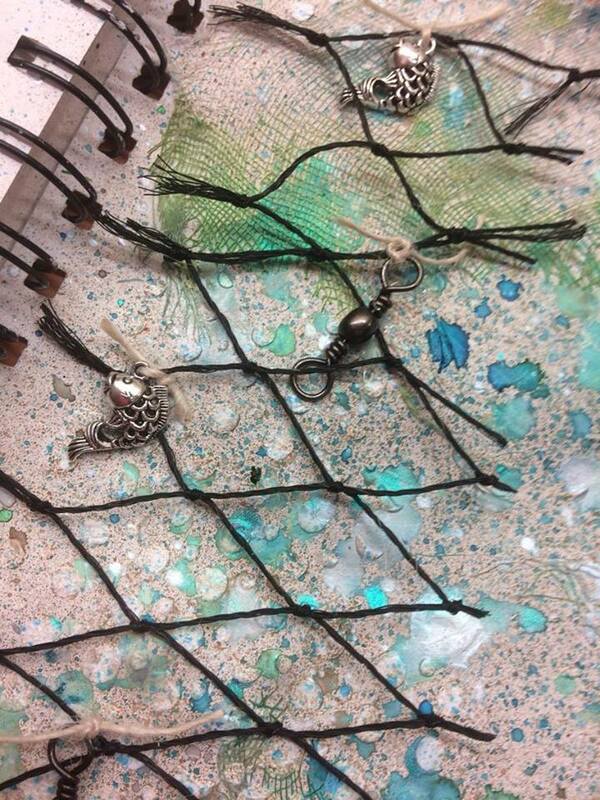 Embellishments: fishing net, fishing line attachments, charms, string etc. 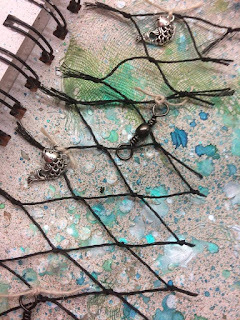 We will start by creating the background page for our seductive mermaid! 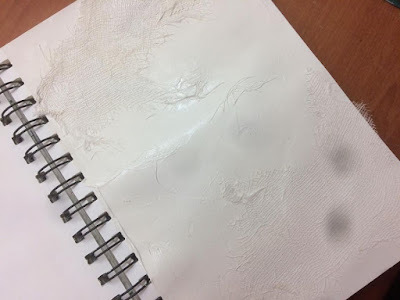 Add a layer of Gesso to your journal page or card if working on a separate item. While the Gesso is still wet use a spatula (or your fingers LOL!!!) to adhere the muslin cloth to the page. Next step is to stamp the mermaid onto an old book page. It's fun to stamp onto a "related" wording page ie. I stamped on a thesaurus page with "ocean" words - the same works for an encyclopaedia page etc. - it's fun to follow the theme with all the added elements to the page!!! Tear out some wording from your book pages - used here the "siren" related paragraph from the thesaurus. Edge with the same archival ink you stamped your main mermaid image in. 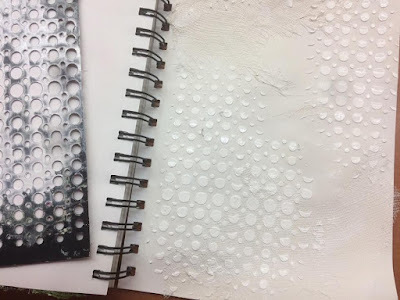 Use a circle stencil and texture paste to add "bubbles" to your page LOL! Allow to dry. 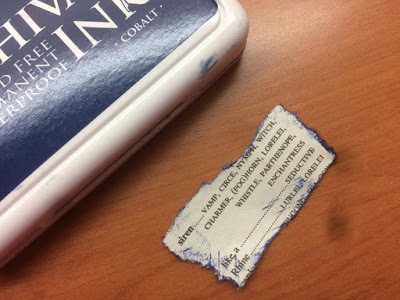 Use ocean coloured ink sprays over the page. Metallic sprays add some nice shine to your page! 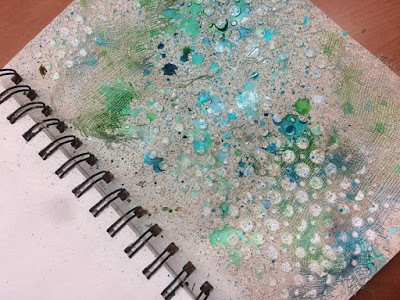 Use a paper towel roll to absorb excess ink - a great way to make a multi coloured paper towel background for use on another creation!!!! 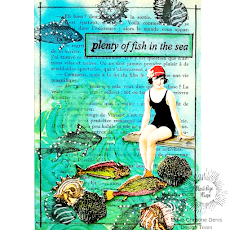 Arrange your stamped images and extra embellishments to the page and adhere with glue and mounting tape, allow to dry and your have a fab under the sea themed page! 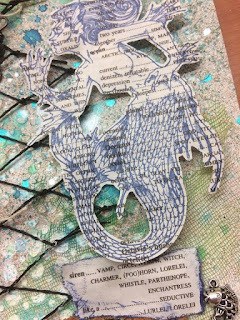 Lots of fab mermaid images available at the store to great pages with! Thanks for stamping with me today!!! Have a creative week!